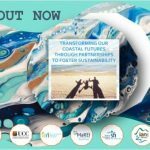 The fourth volume in the Harte Research Institute’s landmark scientific series on the Gulf of Mexico provides a comprehensive study of ecosystem-based management, analyzing key coastal ecosystems in eleven Gulf Coast states from Florida to Quintana Roo and presenting case studies in which this integrated approach was tested in both the US and in Mexico. Two overview chapters cover related information on Cuba and on coastal zone management in Mexico. The comprehensive data on management policies and practices in this volume give researchers, policy makers, and other concerned parties the most up-to-date information available, supporting and informing initiatives to sustain healthy ecosystems so that they can, in turn, sustain human social and economic systems in this important transnational region.